Remember those greasy, salty, delicious hash browns from the golden arches?? 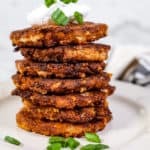 Yeah, those were good, but these Paleo, Whole30 + Keto cauliflower fritters are freaking amazing! 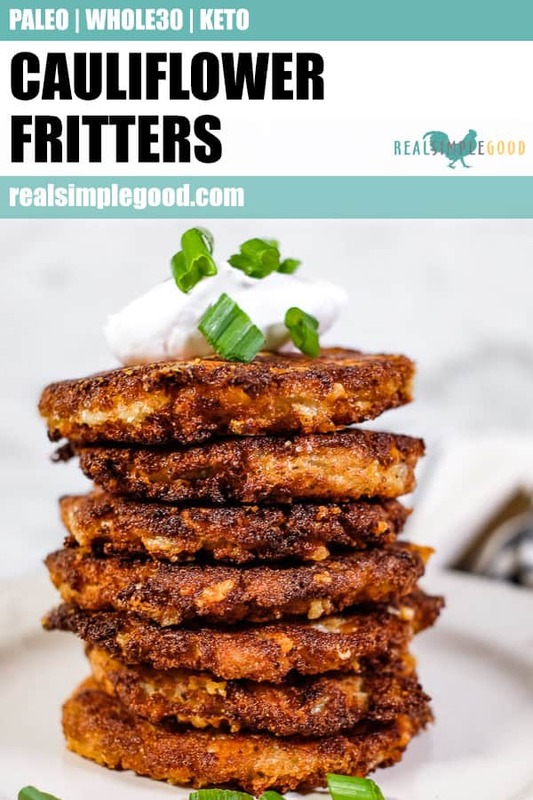 You’re going to love these low carb fritters as a side dish that goes well with any protein. 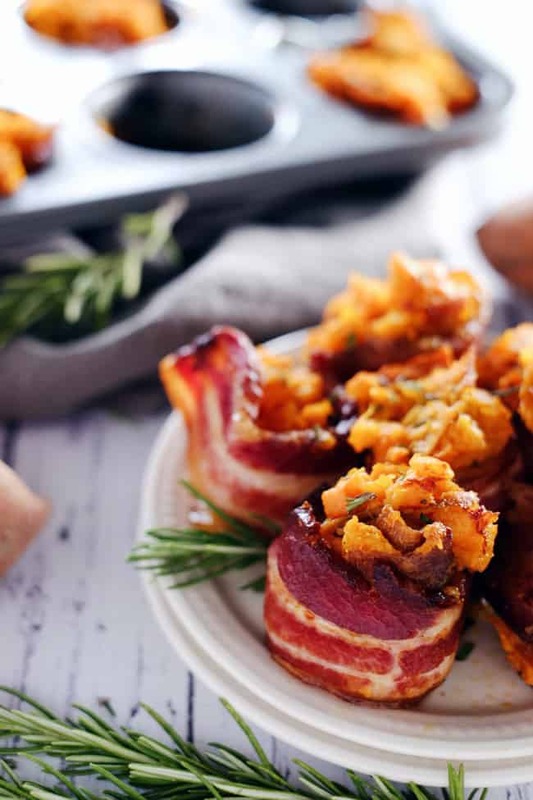 The crispy outside and the soft and cheesy inside is about to rock your world! I know, I know. Cheese is not Paleo. So, here’s the deal. 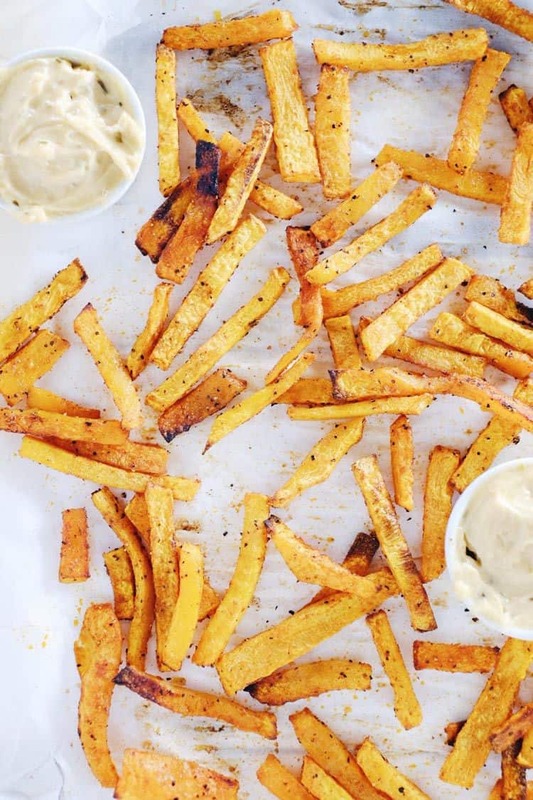 You can make these without the cheese if you’re super strict Paleo and don’t want to go there. You do you. If, however, you eat cheese sometimes like us and/or are playing with the Keto lifestyle, then have at it! This one is especially for you! 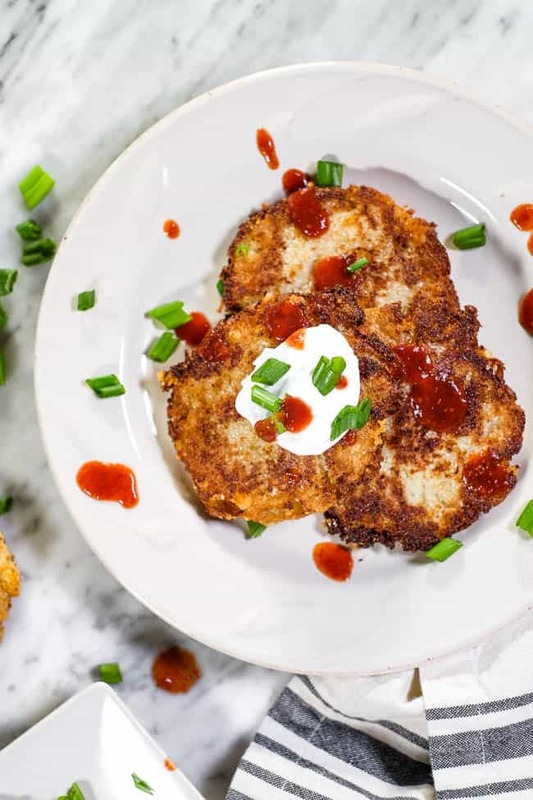 As you may know, I haven’t been eating eggs so we make these cauliflower fritters without the eggs (and with cheese), but if you tolerate eggs go ahead and use them. And especially if you aren’t going to use cheese, use the eggs! 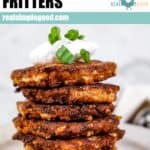 They help to bind the fritters and make forming patties a little easier. Eggs and cheese. Use them both if you’re down with it. This will help with keeping these cauliflower fritters together. Also, to form them into patties, start by making a ball of the mixture in your hands and squeeze out the juices a bit. Then, flatten into a patty shape. Go for a flatter, and not too thick size, a bit bigger around than the size of the bottom of a mug. 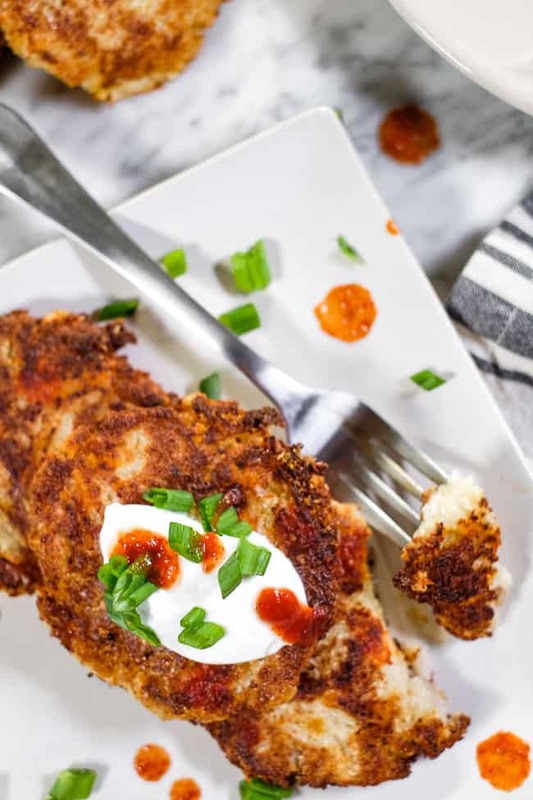 This will help the outsides to get crispy and stick together, then the insides will get a little gooey and cheesy and delicious. Can you tell I’m drooling over here just thinking about it?! You do you, but if you’re open to cheese – use it! You won’t regret it. 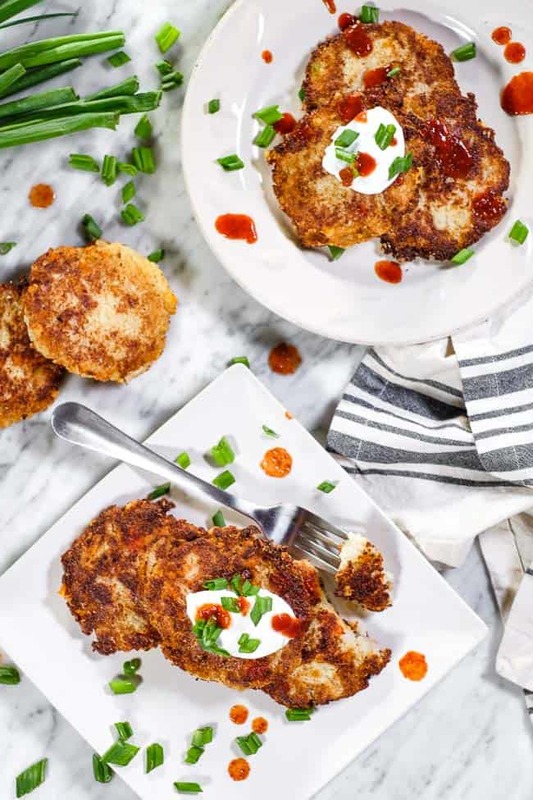 Make these cauliflower fritters to go with any protein and enjoy the crispy outside, gooey insides and savory deliciousness. Leave a comment below and let us know how it goes. Also, take a pic and tag us on Instagram @realsimplegood. Make sure to give us a follow if you don’t already. We’d love to stay connected! 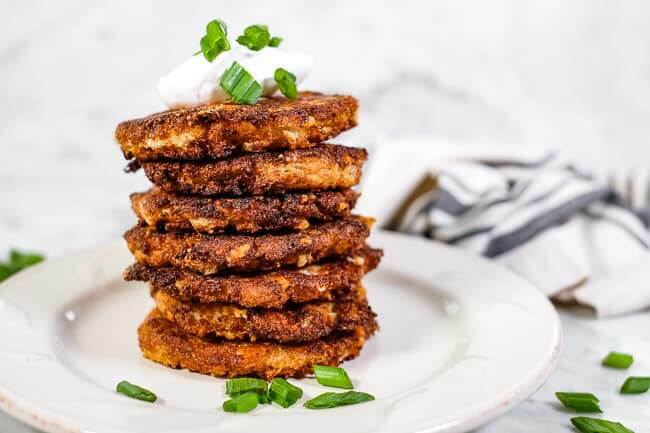 These Paleo, Whole30 + Keto cauliflower fritters are a low carb side dish that goes with any protein! You'll love the crispy outside and soft, gooey inside! Cut the head of cauliflower into small florets. Using the blade attachment, add 1/2 of the cauliflower florets to the processor and turn into rice by pulsing in the food processor until the cauliflower is processed into fine bits. Repeat with remaining cauliflower. 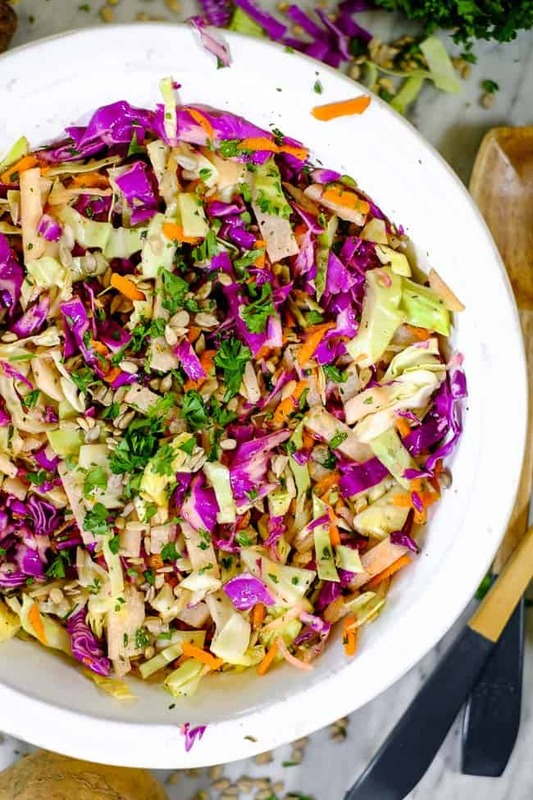 Mix all of the ingredients (except avocado oil and any toppings) together in a bowl. Form the cauliflower mixture into small patties with your hands. It helps to form a round ball and squeeze it well and then flatten it into a patty. It will make approximately 10 medium patties. Heat a large skillet over medium-high heat and add avocado oil. Once the oil is hot and shimmering, add in the cauliflower patties and cook for 5-6 minutes on each side, until golden brown. Work in batches of 4-5 patties and add extra oil if needed between batches. When the fritters are cooked, transfer to a paper towel lined plate. Top with any desired toppings for serving and enjoy! 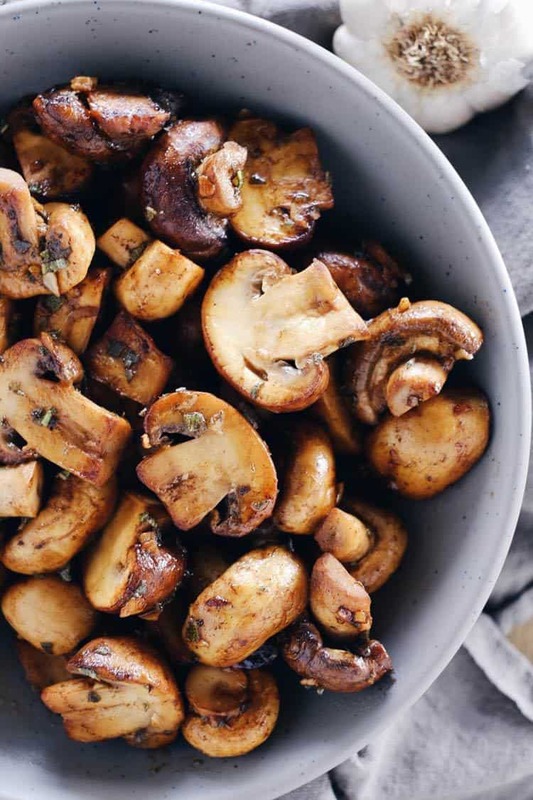 Nutrition facts are an estimate provided for those following a Ketogenic or low-carb diet and do not include optional toppings for this recipe. See our full nutrition information disclosure here. You can try arrowroot and I’d definitely use an egg as binder too since that’s such a fine flour. What if you can’t have dairy or egg? Any suggestions? 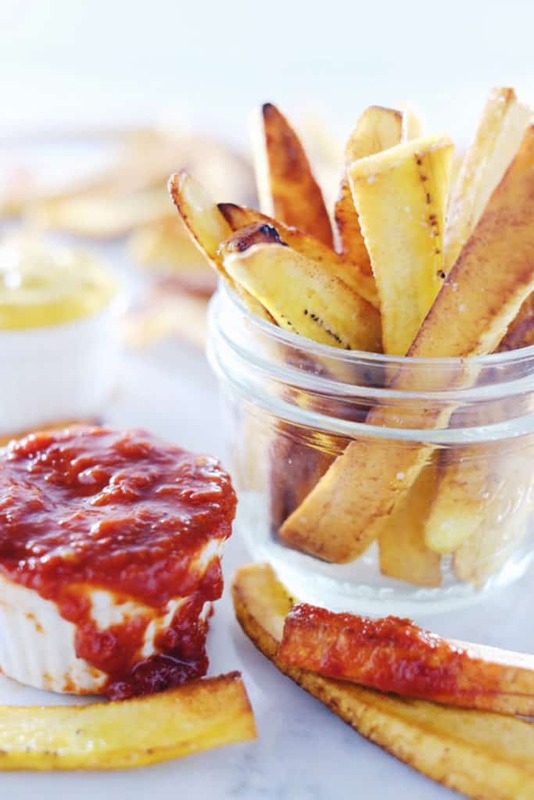 These can be made without the cheese or egg! Just squeeze them together well to bind as much as possible before you flatten them out. Can you use frozen cauliflower rice? I don’t think so, the outsides would likely burn before the inside cooked sufficiently. 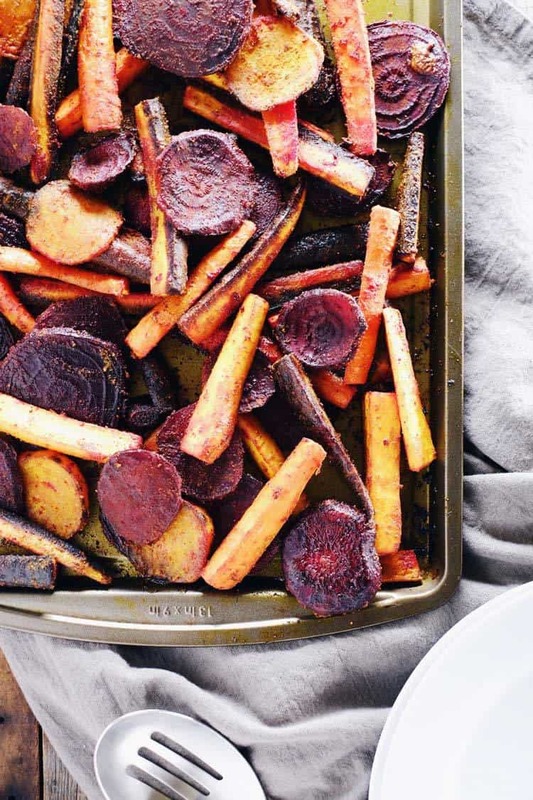 Can I use almond flour? We haven’t tried it but you probably could. Be sure to use the egg for binding if you substitute almond flour. These are SO good! I can’t imagine they’d be as good without the cheese. I used pecorino instead of parmesan because I don’t do well with cow’s milk and they were so so good. Thank you for this recipe!